There were two important reports on the U.S. economy released this morning. 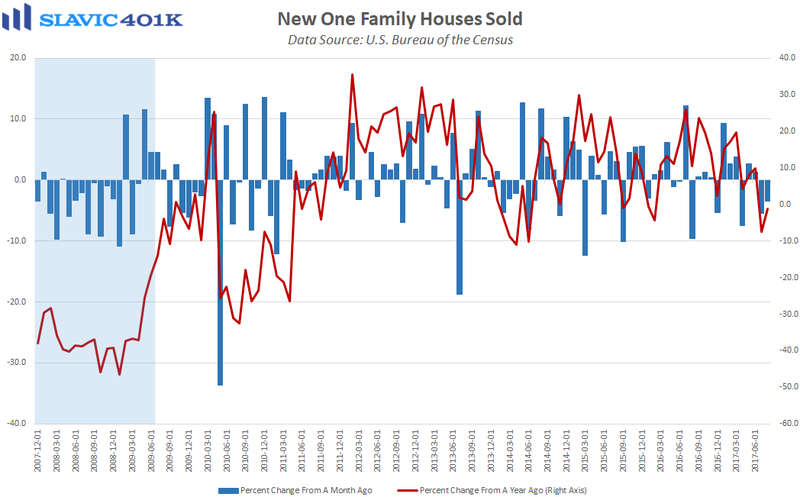 First, data from the Census Bureau showed that sales of new single-family homes in America fell by 3.4 percent in August to a seasonally adjusted annual rate of 560K units. That was worse than economists expected, the second monthly decline in a row, and the weakest reading in almost a year. 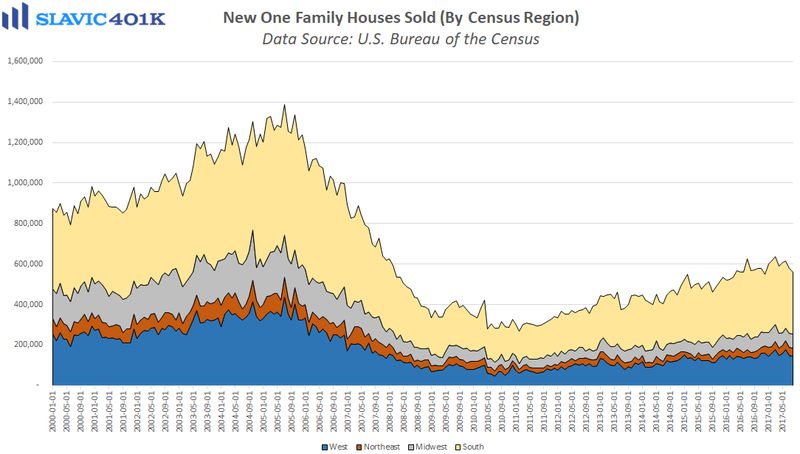 Regionally, new home sales in August were flat in the Midwest and fell in the South (-4.7 percent), the West (-2.7 percent), and the Northeast (-2.6 percent). The inventory of new single-family homes in August lifted to 284,000, and months’ supply rose to 6.1 based on the current sales pace. 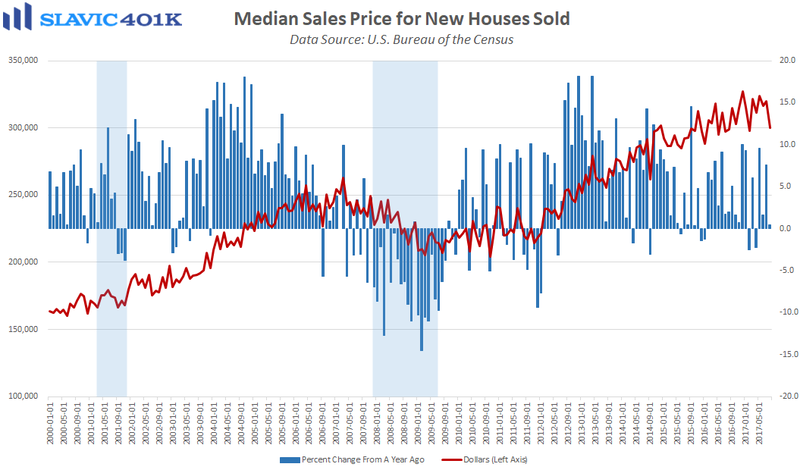 The inventory uptick helped lower the median selling price of new houses sold in August to $300,200, although this is still up from a year earlier. 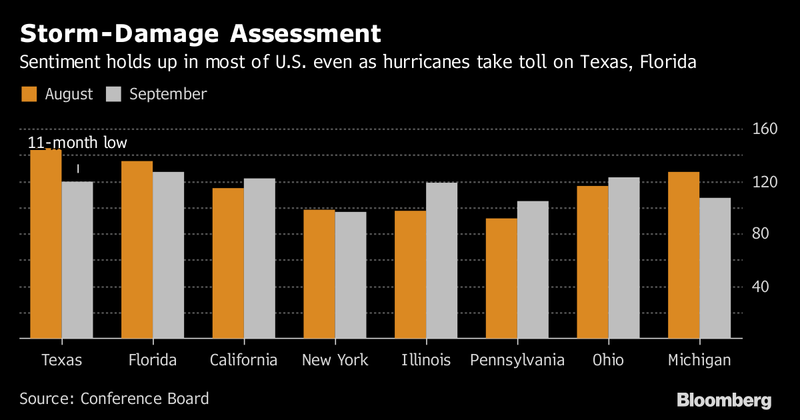 Overall this was a disappointing report but considering how large the housing markets are in Texas and Florida, it is important to remember that any recent weakness might have been exacerbated by hurricanes Harvey and Irma. 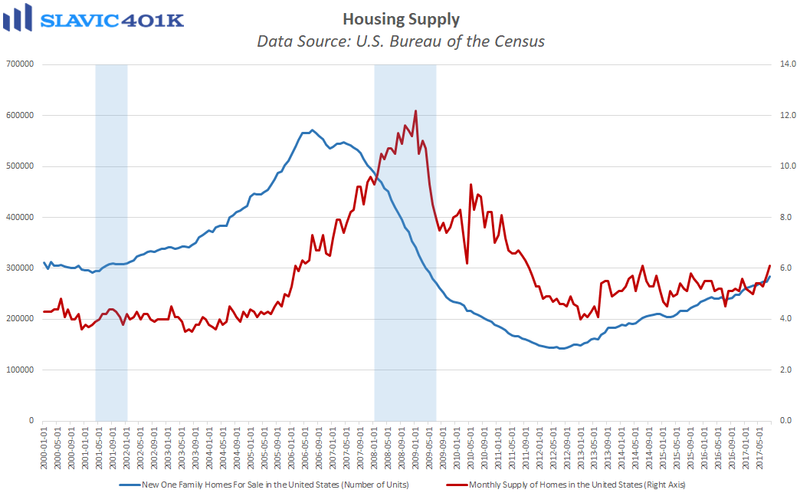 Fourth quarter data will therefore reveal more about the actual strength of the U.S. housing market. 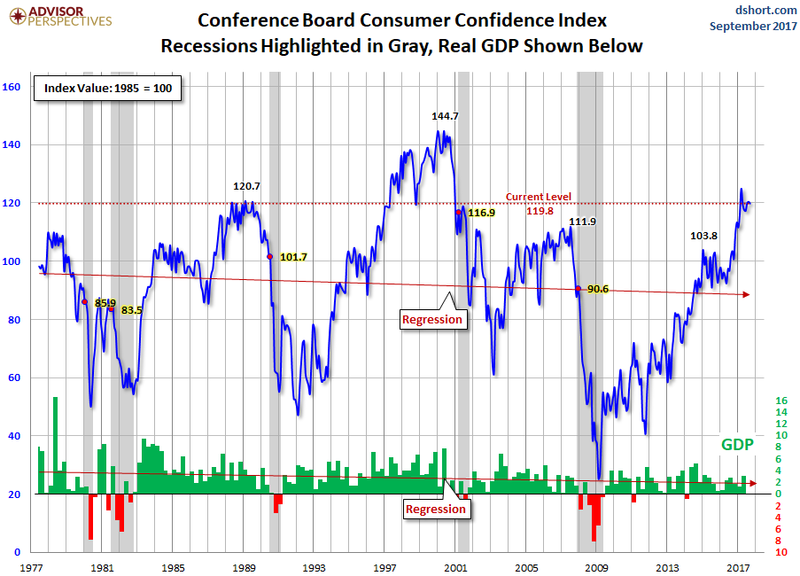 Elsewhere, the consumer confidence index from The Conference Board fell to 119.8 in September. That was worse than anticipated and the prior month’s figure was revised lower. Surveyed Americans’ opinions of current economic conditions deteriorated in September but Lynn Franco, director of economic indicators at The Conference Board, stressed that this was in part due to confidence in Texas and Florida, which “decreased considerably as these two states were the most severely impacted by Hurricanes Harvey and Irma.” More importantly, the headline index is still up considerably since the election and surveyed consumers’ outlooks on the future improved in September, with more respondents expecting greater job availability and wage growth in the coming months.